Macklemore and Ryan Lewis are winners of the Best Hip Hop Video and Best Cinematography awards at the MTV Video Music Awards, for their music video, “Can’t Hold Us”, from their album, “The Heist”. Seattle rapper Macklemore is filmed with producer Ryan Lewis and guest rapper Ray Dalton on location in Big Four Ice Caves, Washington, San Francisco, Los Angeles and Seattle, and in various New Zealand locations including Coromandel beach Cathedral Cove. Filming was shot by director/cinematographer Ryan Lewis, director/cinematographer Jason Koenig, director Jon Jon Augustavo, cinematographer Mego Lin, producers Tricia Davis, Honna Kimmerer and Jenny Koenig, grips team Adam Leeman, Lei Tao, Edward Tran and Johnny Valencia, and steadicam team Chris Duerkopp & Alex Kornreich. Microsoft featured the Can’t Hold Us track on “Get Going”, their commercial for Outlook.com webmail service. 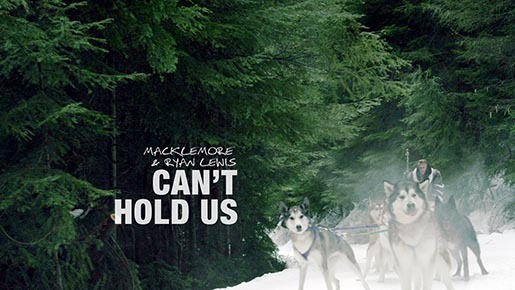 Miller featured the “Can’t Hold Us” track on their 2012 It’s Miller Time commercial. 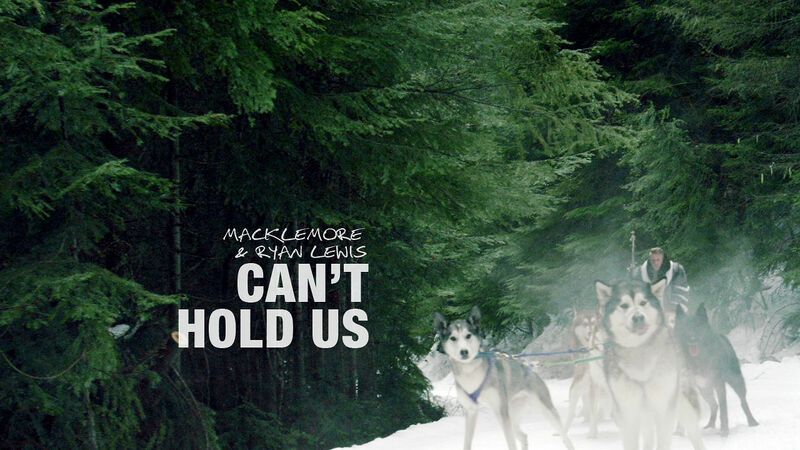 Universal Music featured the “Can’t Hold Us” track on commercials for the movie R.I.P.D.